Q: Can The Fiberglass self-sealing pipe covering be used on gas boilers with galvinized pipes? Yes, The Fiberglass Self-Sealing Pipe Covering can be used for galvinized pipes. The Fiberglass pipe insulation is designed for high temperature situations. Q: How do I install the Frost King Socket and Outlet Sealers? Did you know? The Department of Energy recommends that your home's outlets and sockets be included in any home energy assessment? Frost King Socket And Outlet Sealers are invisible, easy to install and a quick way to save money on your home heating and cooling bills. Socket and Outlet Sealers are easy to install, The Handy Guys can show you how. Q: Which Faucet Covers should I use to protect my outside faucets from freezing over? The Foam cover is your best bet when it comes to keeping faucets from freezing during the winter months. But, if you need something more durable, something to protect against knocks or any animals in the area, you can go with the Hard Plastic Faucet cover. 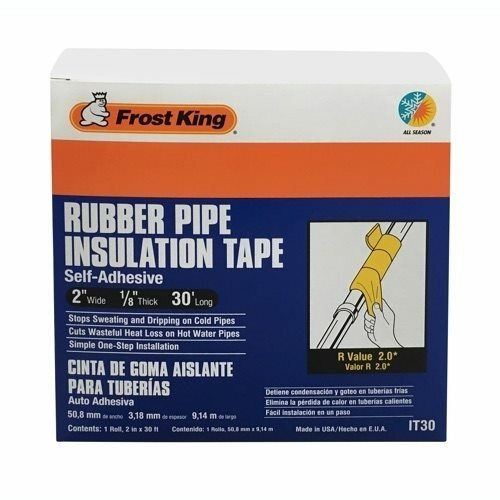 Frost King Pipe Insulation is simple and easy to install. Here the Handy Guys show how a few Tees, some elbows and and some pre-slit Polyethylene Foam Pipe Insulation can save a lot of money. Q: How do I install pipe and duct insulation? What side goes where? The fiberglass goes against the pipe. For foam and foam and foil insulation, the foam goes against the pipe with the silver liner creating an envelope to keep heat in and cold out. Comes in different sizes and lengths to fit your needs. Package contains a roll of plastic tape. A simple, one-step way to insulate both hot and cold pipes. 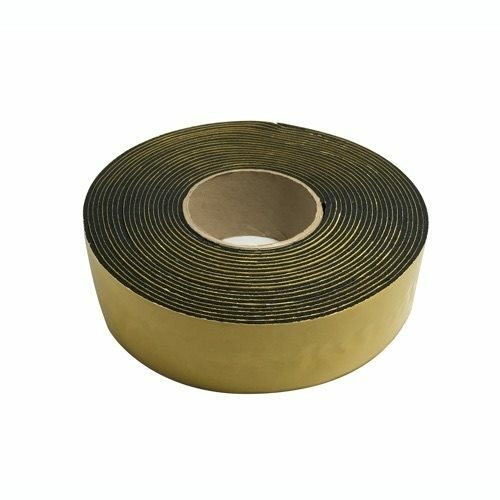 Combines the properties of two popular insulating materials in one handy roll.